Normally, I tend to avoid the perfume and makeup aisles at Debenhams (Soug Sharq) due to the overly aggressive sales assistants. The makeup people will literally yell out to me, from behind their designated booths, rattling off a list of things that I have no interest in, whatsoever. Even after politely declining, they’ll still keep going, completely disregarding my lack of interest. You might think, what’s the big deal? After declining the first few times, if they still continue, just ignore them. However, one of them (Filipina sales assistant) actually kept following me (from booth to booth), trying to convince me to go back to her counter. In the past, I’ve gotten so annoyed by this behavior that I’ve actually stormed out (without purchasing anything). The perfume people aren’t any better. They keep shoving perfumes in my face, regardless of my preference. It’s more about them selling perfume from the brand that they’ve been assigned to, rather than what I’m actually interested in. They even interrupt and talk over each other in trying to get my attention. I just find this behavior so uncivilized and unsettling. Honestly, it makes me feel like I’m at some sort of street bazaar rather than a department store. As such, I tend to avoid the perfume and makeup counters at Debenhams. So I was at Debenhams looking for a new swimsuit (but gave up after not being able to find anything cute enough) when I decided to check out the makeup department. It’s been forever and a day since my last visit and I was kinda’ curious to see what was new. 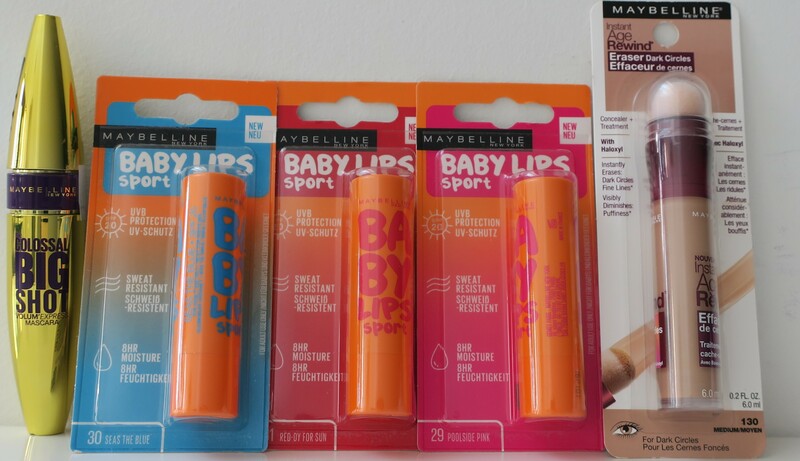 I wasn’t planning on getting anything, really, but then I spotted some new Maybelline Baby Lips. I figured I could just get them later on from somewhere else, like Boots (they tend to have Buy Two Get One Free deals on Maybelline every now and then). 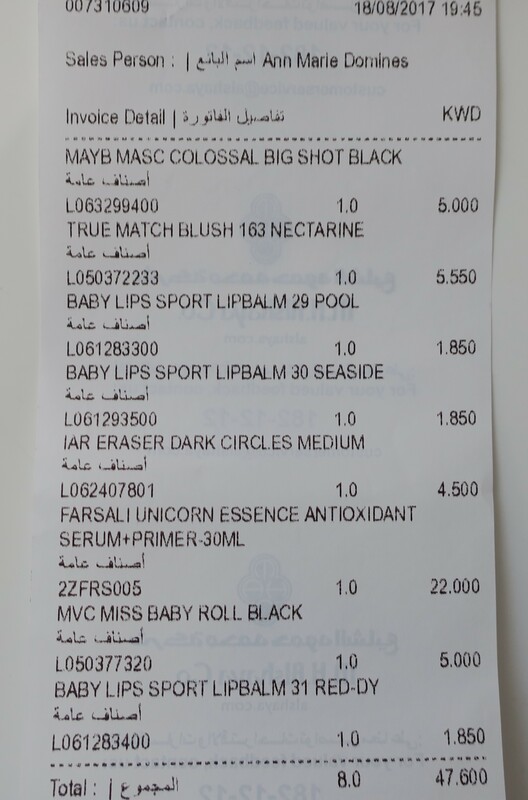 However, once I spotted the Farsali Unicorn Essence, I knew I was going to end up doing some damage. There weren’t any deals going on at the time so I justified my purchase by only getting things I truly needed (lawl). I picked up a L’Oreal Blush or Le Blush as they call it in the shade 163 Nectarine because shades like this seem to compliment my odd sallow arab/tan/brown/olive complexion the most! Unfortunately, there were no testers (because…Kuwait) but I suspect Nectarine is one of those shades that plays well with others, so it’ll be fun trying to mix and match it with other stuff. The packaging isn’t the most exciting but I like that it’s transparent and comes with a little brush. 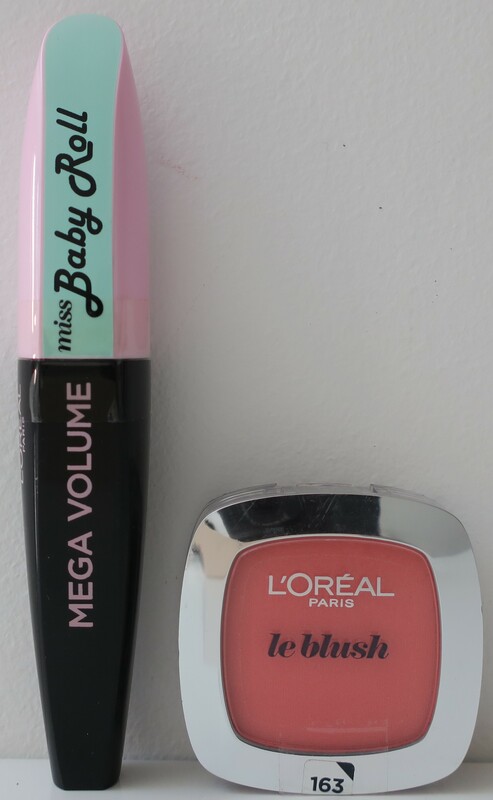 I also picked up these two mascaras because they were new to me and I couldn’t decide between them. I use mascara every time I wear makeup so the purchase of these two was definitely warranted. At a first glance, I could’ve sworn that the reflective gold packaging belonged to a L’Oreal Mascara and the girly pink and black mascara belonged to a Maybelline Mascara… They switched it up on me! I’ve tried every reincarnation of The Colossal so might as well give Big Shot a try. I despise the packaging (ugh, gold) and the medium-sized straight brush wouldn’t be my first choice, but surprisingly… I don’t hate it. It doesn’t give me as much volume as I’d like, but it does lengthen my lashes, which is why I tend to layer it with other mascaras, but I’m still trying to find the perfect combo. I have yet to use Miss Baby Roll so I can’t comment on it just yet. I’ve noticed dark circles under my eyes and so I decided to repurchase Maybelline Dark Circle Eraser in the darkest shade available (which was 130 Medium -_-) If I’m being honest, it’s not just dark circles. It’under-eye bags and fine lines, in addition to the dark circles. My under-eye area is a mess lol I’m not that bothered about it but when I do wear makeup, I feel like it kinda’ ruins the overall look that I’m going for which is annoying. Otherwise, I’m completely fine with it despite the fact that my friends are all practically begging me to go “get some work done”. I don’t judge people who do that stuff (to each their own) but it for me personally it’s just not my thing. Not now. Not ever. The furthest I’m willing to go is to slap on some concealer and even then, only on special occasions. 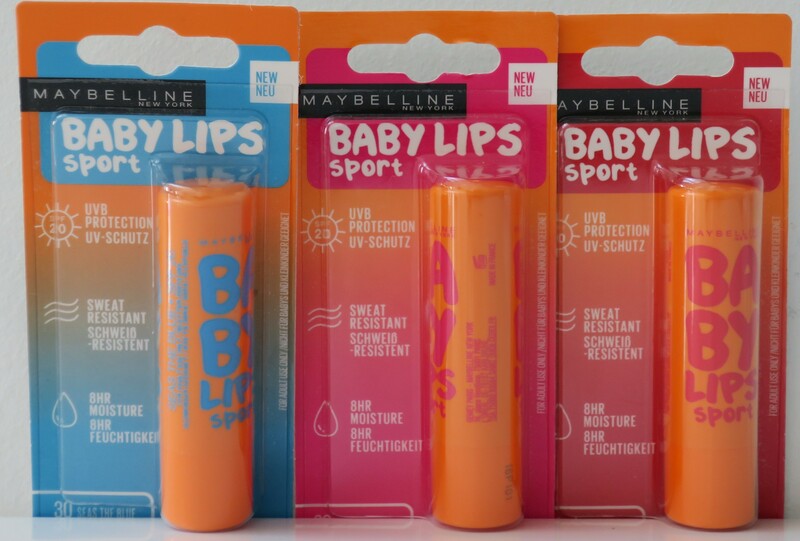 How adorbs are these Maybelline Baby Lips Sport? Initially, I was only going to get one, and use it all up, before coming back for more, but I just couldn’t resist the cuteness, and ending up grabbing one in every shade available (clear, pink, red). 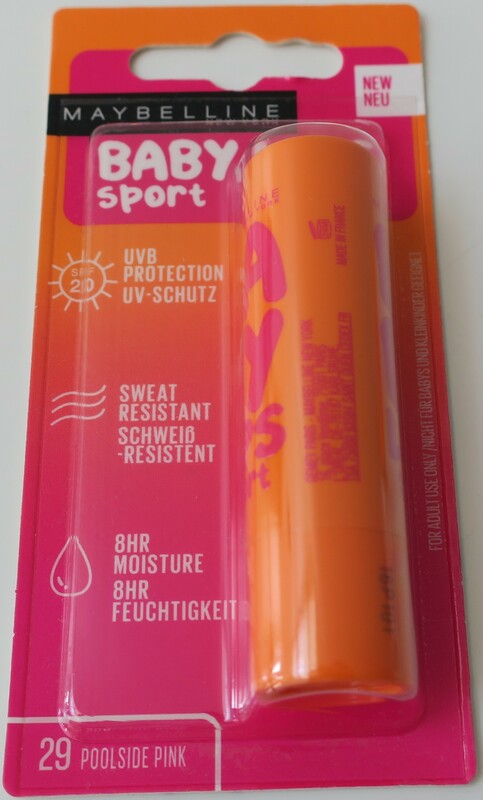 I love the obnoxious orange packaging because it’s reminiscent of sunscreen, which I associate with fun at the beach (summer vacations abroad). 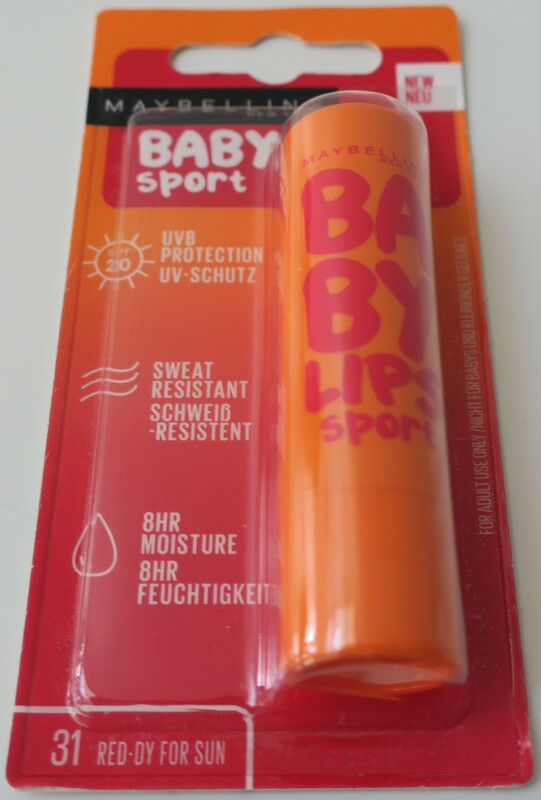 Plus, it’s got SPF 20 which is deliciously apropos, and also a plus. This was the first one I opened up because I was hoping it would be blue but apply clear. It’s clear and applies clear. 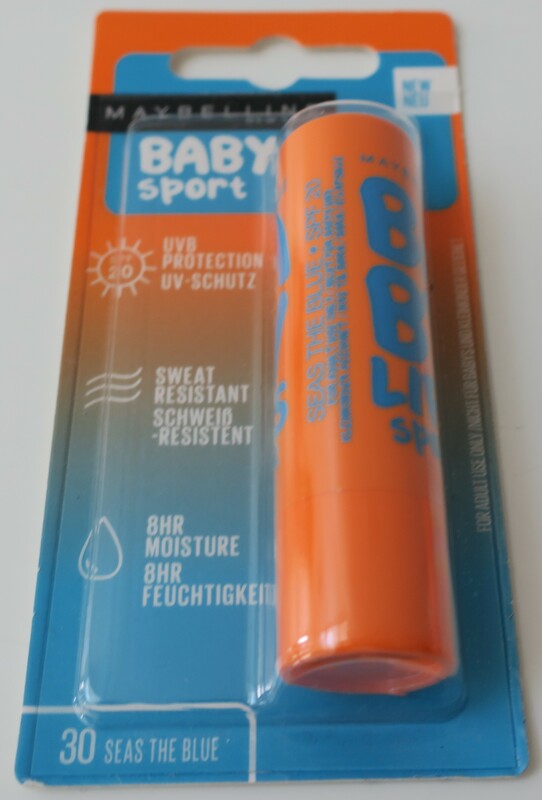 It moisturizes my lips well enough and smells lovely! Can’t wait to use this one, which is obviously going to be red, because I enjoy a subtle red tint to the lips and feel it makes lips look more… juicy! I’m excited to see what it smells like as well! I’m not going to open this (Red-dy For Sun) up until I’ve gone through the clear one (Seas The Blue) first though. I kinda’ regret getting this because it’s most probably going to be fuchsia on my lips and for whatever reason, I just can’t stand fuchsia on myself. I couldn’t believe my eyes when I stumbled upon this. I’ve been seeing those girls on YouTube doing the whole teardrop-under-each-eye thing since forever (at least it feels like it’s been forever) but due to the issues I seem to be having with ordering online, promptly gave up on ever being able to purchase one of my own. I’m not quite sure what “Unicorn Essence” is for, but I just had to have it (#makeupjunkie). Even the glass bottle feels ultra-luxe and has substantial weight to it! 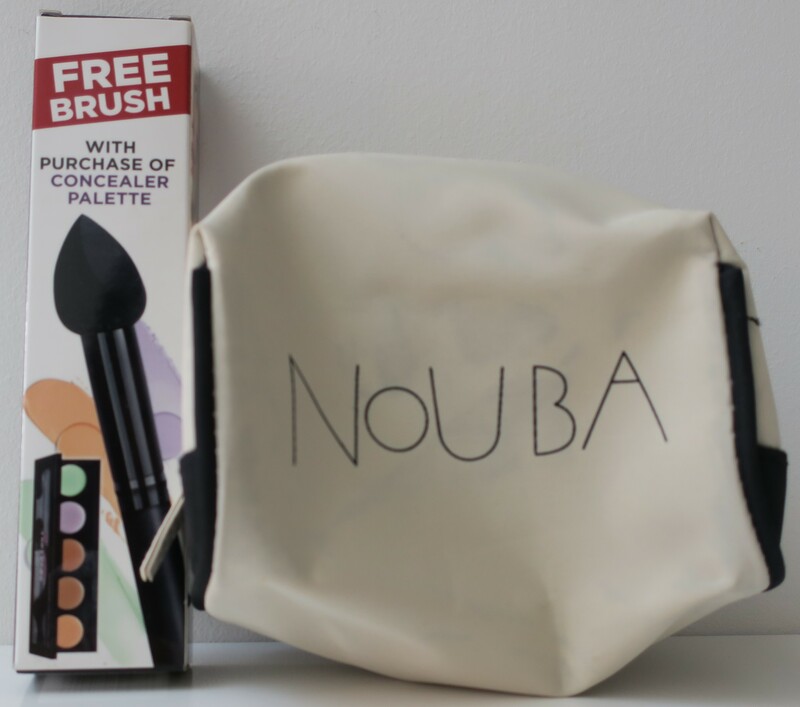 I got a sad and dirty little pouch for free even though I didn’t purchase anything from the brand Nouba. I also got a larger-than-average sponge-tip applicator from… I wanna’ say L’Oreal. Based on the photos on the side, it’s meant to be used with the L’Oreal Infallible Concealer Palette (as shown). I guess this could come in handy. It might seem like I spent a lot but the Unicorn Essence alone was KD 22/000 and like I said earlier, I only bought stuff that were necessary (read: essentials) so KD 47/600 isn’t much in the long run. Despite the fact that I’m both excited and obsessed with almost everything in this haul (bar the pink lip balm), my experience at Debenhams was such an unpleasant one, that I don’t believe I’ll be visiting the makeup department again anytime soon.